Since we custom build all of our award winning turbos, our standard turn around is 2 weeks for standard turbos and up to 4 weeks for a custom design. No matter what the job, you can expect to receive the best products and service. All of the parts that leave our shop are critically and carefully inspected by our full time quality control specialist. This 2.5″ Class high quality complete S400 turbo with Map Groove is only designed and manufactured by JEB. *Custom built turbos available, please contact us for more details. 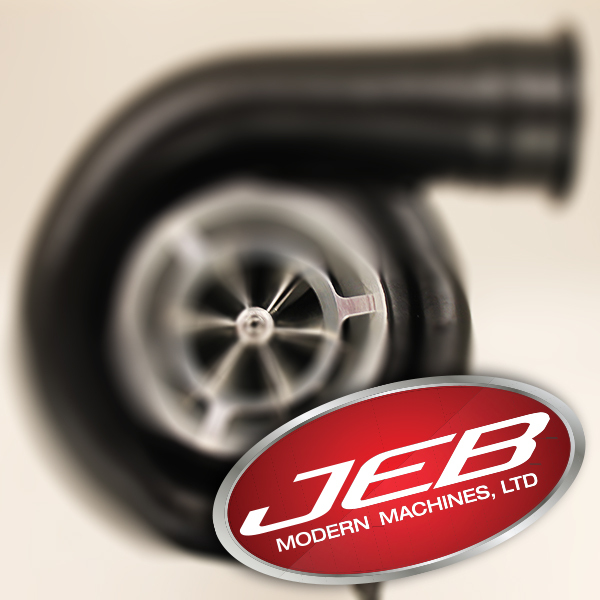 The illustration representing this product depicts the general look of JEB Modern Machine, LTD. turbos. Depending on your performance need, the product received may vary in appearance from this image. Class: 2.6" Smooth Bore Frame Size: Garrett GT42 Ball Bearing CALL FOR PRICING Since we custom build all of our award winning turbos, our standard turn around is 2 weeks for standard build and up to 4 weeks for a custom design. No matter what the job, you can expect to receive the best products and service. All of the parts that leave our shop are critically and carefully inspected by our full time quality control specialist. Billet aluminum front control arms for Dodge 2nd Gen Dana 60. 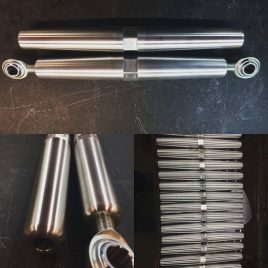 Threaded rod ends with milled wrench flats for easy adjustments. Set includes four.